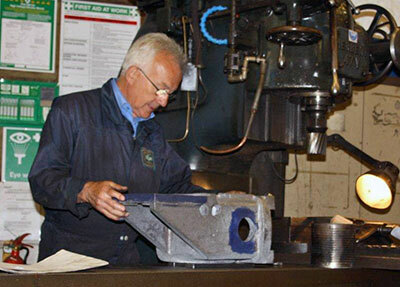 Machining of spring brackets is in full swing often with two milling machines engaged on this job on Mondays under the care of Richard and Alan. This is only a part of the story here as there are various other ancilliary components required to complete the spring bracket arrangement and work is in progress on this aspect of the job. 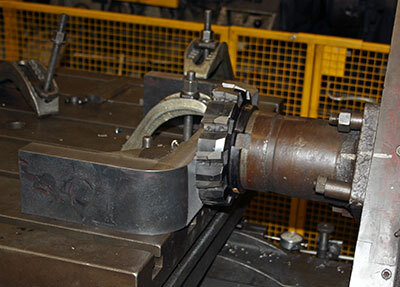 Machining of the horn guides for the pony trucks has also been taking place. Other members of the team are busy attaching driving wheel horn guides and horn blocks to the frames with fitted bolts. 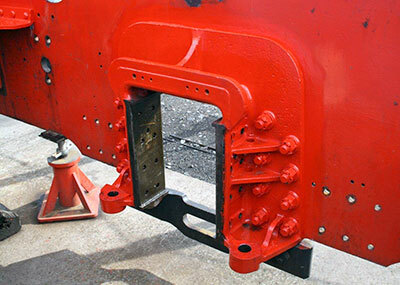 Some of the front footplating has been refitted now that the riveting in that area has been done. Casting of the axleboxes for the driving wheels is underway and the related keeps have recently been cast. In similar manner to the spring brackets, there is a lot of work to be carried out following the casting of the axleboxes, ie. casting, machining and fitting of the bronze bearing, fitting manganese liners , whitemetalling bearing surfaces, etc. Fabrication of the heat shields for the trailing axleboxes is also in progress. 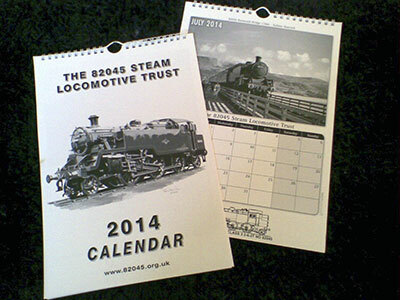 Our new calendar for 2014 is available now at a cost of £5.00 + £1.20 p+p. Our popular calendar features a selection of photographs of the Class 3 tanks from the 'Age of Steam'. Contact Barbara with a cheque please. Barbara will be running the tombola again at the SVR Autumn Steam Gala 20th, 21st and 22nd September. Gifts suitable to be given as prizes will be gratefully received please and may be dropped in advance with the working parties on Mondays or Wednesdays at Bridgnorth. Alternatively please contact Barbara for arrangements. Thanks in anticipation! The fitted bolts securing the right hand side horn block. Richard Fraser setting up a spring bracket on the Herbert milling machine. The pony truck horn guide on the Richards horizontal boring machine.